Over the years, Ive drawn prayer circles around promises in Scripture and promises the Holy Spirit has conceived in my spirit. Ive drawn prayer circles around impossible situations and impossible people. Ive drawn prayer circles around everything from life goals to pieces of property. Batterson explains that his goal is to glorify God by drawing circles around that which we want. 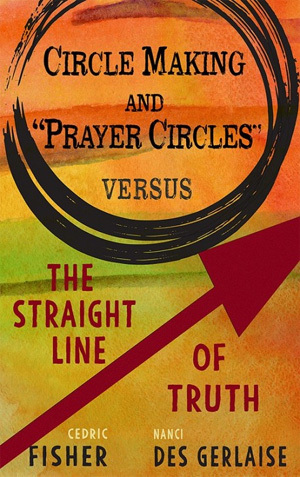 Battersons circle-making formula for getting prayers answered is reminiscent of the still- popular book that hit the evangelical market in 2000, The Prayer of Jabez by Bruce Wilkinson. From the start of the book, the reader is being offered a method for success in his spiritual life by one daily prayer. . . . Wilkinson thinks he has discovered something he wants to share with all. If well just pray the prayer of Jabez, word-for-word, every day for a month, well see Gods blessing and power in our lives. Man develops a formula to get what he wants, and God MUST NOW answer these requests or prayers. there is no precedent whatsoever in the Bible that we are to draw circles in order to have our prayers answered. On the contrary, there are countless examples in pagan, wiccan, and New Age literature that refer to circles. If drawing prayer circles is such a wonderful God-inspired idea, how is it that Satanists and those in the occult consider circles a major part of their belief system? Could it be that the church is merely imitating an occultic practice? It is not circles that people need, but rather, what God offers them: a relationship with His Sonno gimmicks, no magic, no trickeryno circles. God offers the free gift of eternal life through Jesus Christ to all those who make a straight line to His throne of grace and to His everlasting truth.